March is Women’s History Month in the United States, so what better time to turn our attention to some of the incredible women who have shaped the history of journalism in this country? Our first featured journalist is: Nellie Bly. 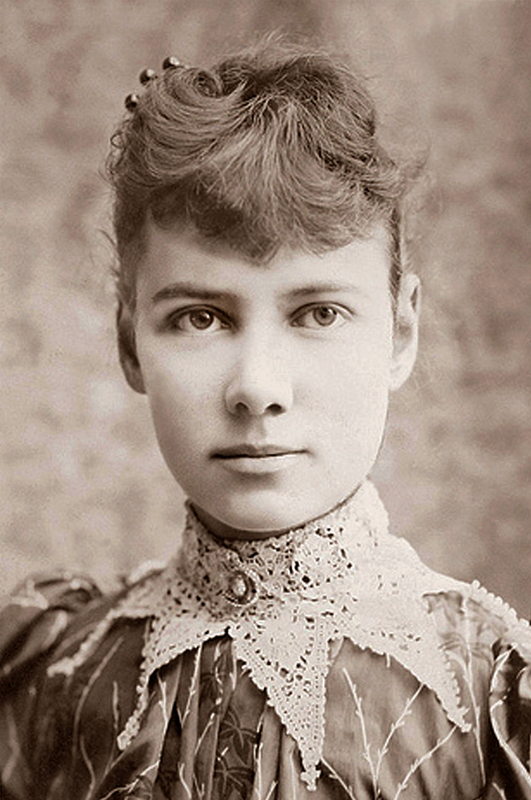 Nellie Bly was the pen name of Elizabeth Jane Cochran, who was born 1896 in Cochran’s Mills, Pennsylvania. Her writing career began at the Pittsburgh Dispatch, where she was hired based on an impassioned response she wrote to the misogynistic opinions of a popular columnist. Though she was able to write about issues she felt a personal connection to, like the lives of the poor or working-class women of Pittsburgh, her assignments were often frustratingly mundane and her pieces were always confined to the women’s pages. What puts her on our timeline? After leaving the Dispatch and knocking on newspaper doors in New York City for six months, she was finally given the opportunity to write an ambitious investigative piece about the mentally ill patients at a city institution by New York World editor, John Cockerill. To gain access to the facility, she took on the guise of mentally ill woman, and her damning report, which revealed poor conditions and even worse treatment, not only led to public and political outcry, but was the beginning of a new type of undercover journalism. Bly remained a champion of the poor for the rest of her career and much of her writing focused on exposing the many hardships of those living in poverty. She used her own notoriety to gain access to famous people of the day she profiled for readers, and also famously took part in a trip around the world in 1889 in which she beat the 80-day record of the protagonist in Jules Verne’s “Around the World in Eighty Days” by eight days.